POLARIZED acetate collection. 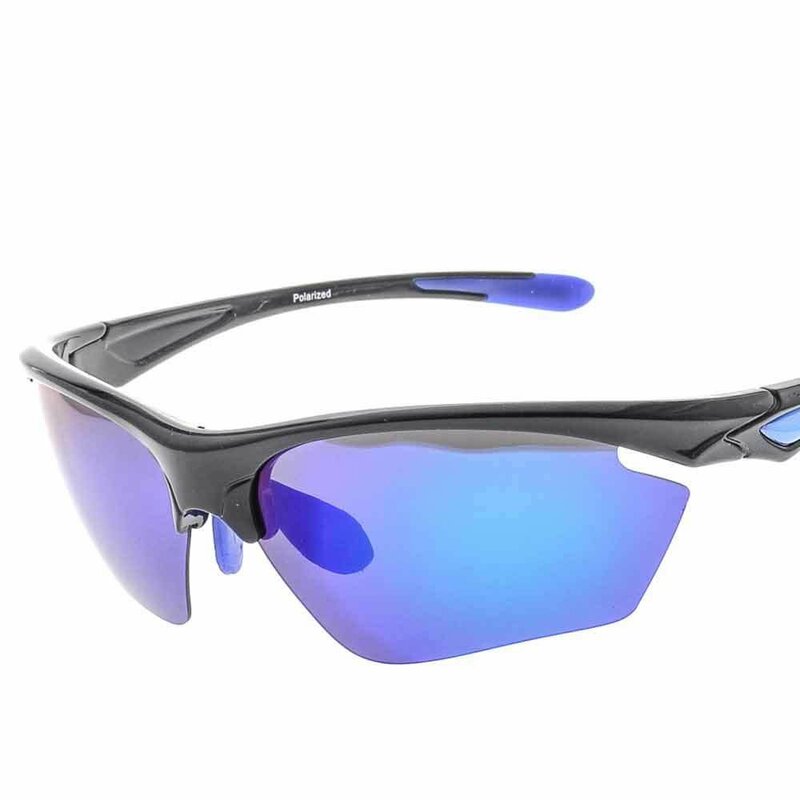 Sports sunglasses for men. Black shiny finish frame, blue mirror lenses. Black with blue temples. Polarized cr39 lenses.